Unreal Tournament ’99 – Greatest FPS EVER! January 2001 was when I got a computer capable of playing modern PC games (thanks Mom & Dad). It was a Pentium III 1.0GHz, 128MB RAM, 60GB 7200RPM HDD, and pixels were shot to a 15″ CRT monitor by a GeForce 2 Ultra. One of the first games I installed was UT ’99. Despite being two years late to the party, there was still a large player base, plenty of servers, and a constant influx of new community created content. Everyday when I’d get home from school, I’d play UT ’99 for at least a couple hours before getting started on anything else. A few of my friends got new computers too, then it all started – my journey to learning why Unreal Tournament ’99 is the greatest FPS ever. Like most new players, I started out playing DeathMatch with weapons. I enjoyed blasting enemies with the Plasma Rifle, Flak Cannon, and of course there’s nothing like the Redeemer. After one of my friends got into UT ’99, he introduced me to a mutator named InstaGib. This introduction changed my UT ’99 life forever. 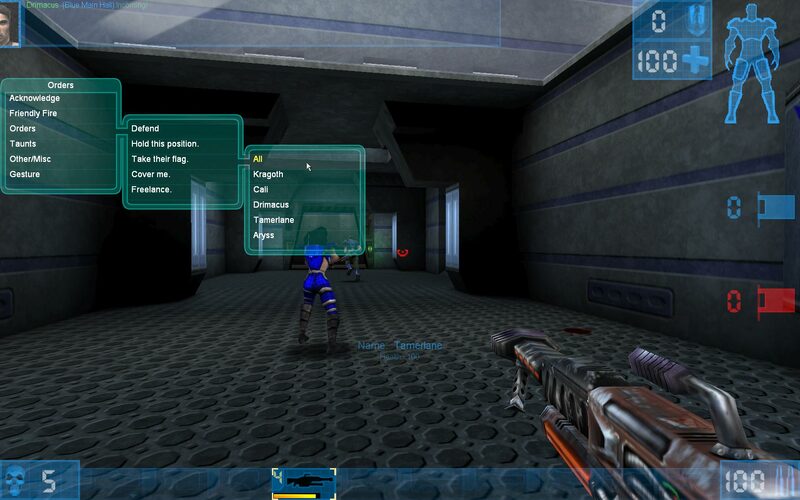 After discovering InstaGib, I started to play Team DeathMatch, and what later became my all-time favorite, Capture The Flag (CTF). 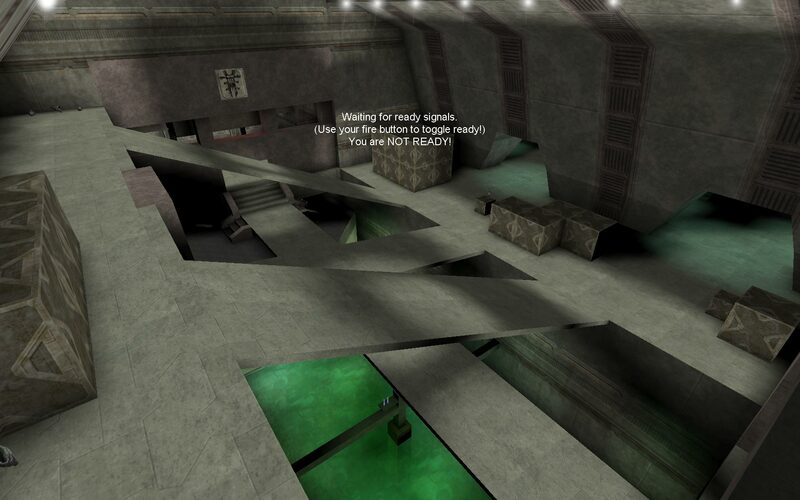 CTF in UT ’99 is the epitome of how CTF should be in every video game. After playing years of InstaGib CTF matches, I realized that UT ’99 is severely balanced. There’s always a chance for you, one player on a huge team, to make a significant impact. For example, an enemy has stolen your flag, they’re running out of your base, and in about two seconds, they’ll be home free. It’s at this moment when you spot them running away. Within an insanely limited time frame, you line up your shot, and tap that mouse button, only to see the words, “[player] dropped the [team] flag”. You have just saved your team a point, but that’s only half the battle. Now you need to recover your flag. Everyone knows how that goes, but getting to your flag to return it is based on skill and strategy. 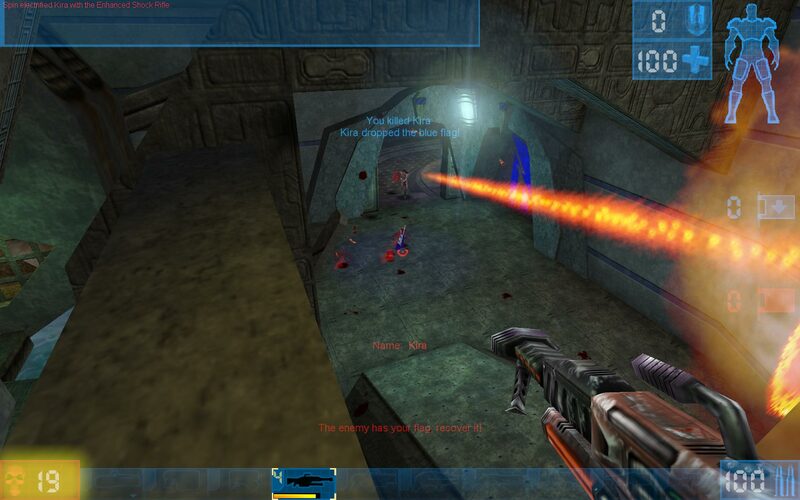 To sum it up, an InstaGib CTF match in UT ’99 is always won by the better team. And everything between the start and final result, is adrenaline packed action where every player always has an opportunity to change the tide for their team. UT ’99 looked amazing then, and still looks good in 2014. The Unreal series was created as a showcase for Epic’s Unreal Engine. 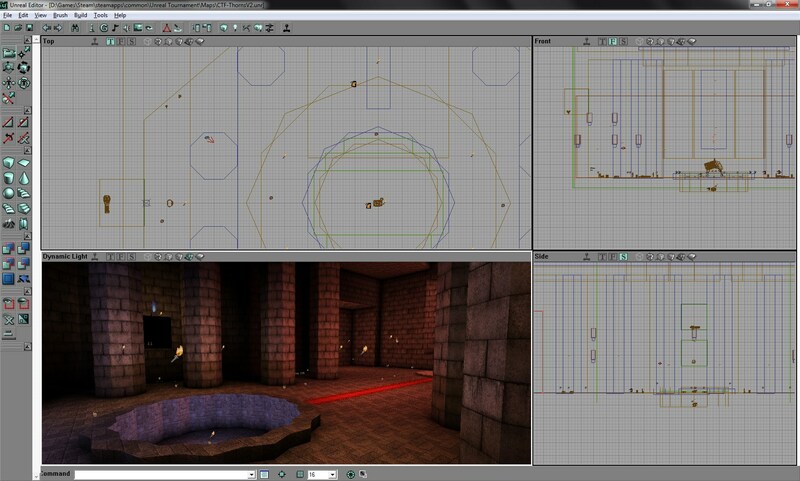 Unreal Engine has been a staple of video games ever since its release with the first Unreal (non-tournament). There’s no other game from 1999 that I could load up today and say, ‘Yeah, this still looks good’. Controlling your character in UT ’99 is smooth and intuitive. Dodging is one of the best features ever in an FPS! Double tap a directional key and your character will leap in that direction, but to the enemy, they see an awesome flip/roll animation making them feel like it is more difficult to hit you. Not only was dodging amazing, UT ’99’s spatial awareness is perfect. If an enemy is approaching you from the front, you can easily back up, dodge around, and control your player with precision while moving backwards. In other shooters, I notice that I’ll often run into walls or other obstacles while backpedaling. I don’t think the problem is me, but I think the problem is how other games interpret player movement. Somehow Epic got it perfect, and other developers get close, but never perfect. UT ’99 is the first game to implement bots as if they were other human players. Not only are the bots good players, you can also give them commands. There are many games today that have terrible bots, not to mention, many of today’s objective based games don’t allow you to tell the bots what to do (I’m looking at you PAYDAY: The Heist and PAYDAY 2). Also, if you know any UT ’99 players, they’ll tell you Loque and Tamerlane are two bots you don’t want a piece of, regardless of how good you are. Needless to say, UT ’99’s announcer is the most recognizable out of any announcer in video game history. The voice has been used or imitated in many other games from Halo to AirMech. Because of UT ’99’s announcer, achieving five kills in a row (Killing Spree), killing two opponents in rapid succession (Double Kill), or getting the first kill (First Blood) became incredibly more meaningful. Video games are instant gratification, and having that announcer instantly notify you that you’re doing exceptional is adrenaline inducing! There’s nothing like it. Even in games without an announcer, if my friends pull off a Double Kill, they’ll shout out, “Double Kill!!!”. Epic decided to give everyone access to Unreal Editor allowing anyone to create content for UT. This step alone is the reason why UT ’99 is still going strong in 2014. There is so much user generated content from maps, vehicle mods, gameplay mods, to you name it. All of this content makes UT ’99 a fresh experience almost any time you decide to play. It is also because of this community that UT ’99 is still available to play. If we look at the current trend in online gaming, multiplayer servers are shut off if the player base drops below a certain threshold, or within a certain time limit (whichever comes first). Although, Epic has stood by its game for 15 years. UT ’99’s master server is still accessible, and there’s plenty of user hosted dedicated servers so that anyone, anywhere in the world, will be able to find a local server with a great connection. UT ’99 completely changed gaming forever. What is commonplace in today’s shooters, is only there because of UT ’99’s implementation. There is no game, not even UT’s successors, that play like ’99. What Epic Games put together and released as Unreal Tournament in 1999 is truly special, and undeniably perfect.